David W. Blight NPR coverage of David W. Blight: News, author interviews, critics' picks and more. 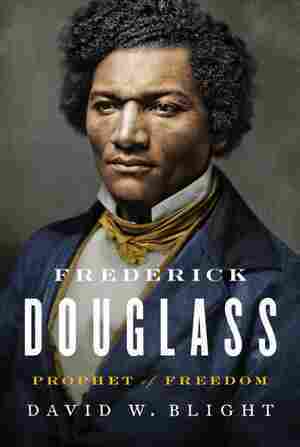 December 17, 2018  Historian David Blight's new biography describes Douglass' escape from slavery, his passionate leadership in the abolitionist movement and his gift as a writer and orator. December 27, 2010  In the 1400s, the ships of the trans-Atlantic trade system began carrying cargoes of human beings. Some 12.5 million people would be shipped as slaves from Africa over the next 350 years. Historians David Eltis and David Richardson talk about their new book, Atlas of the Transatlantic Slave Trade. December 4, 2007  We continue our conversation about A Slave No More and the men whose stories it tells with three of John Washington's descendants: granddaughter Ruth Washington, great-granddaughter Barbara Anne Hinksman, and great-great-granddaughter Maureen Ramos. December 4, 2007  In A Slave No More, historian David W. Blight showcases the emancipation narratives of two men, one from Alabama and one from Virginia. Manuscripts written by Wallace Turnage and John Washington, and genealogical information compiled by Blight, combine to tell the stories of their lives as slaves and their harrowing flights to freedom.